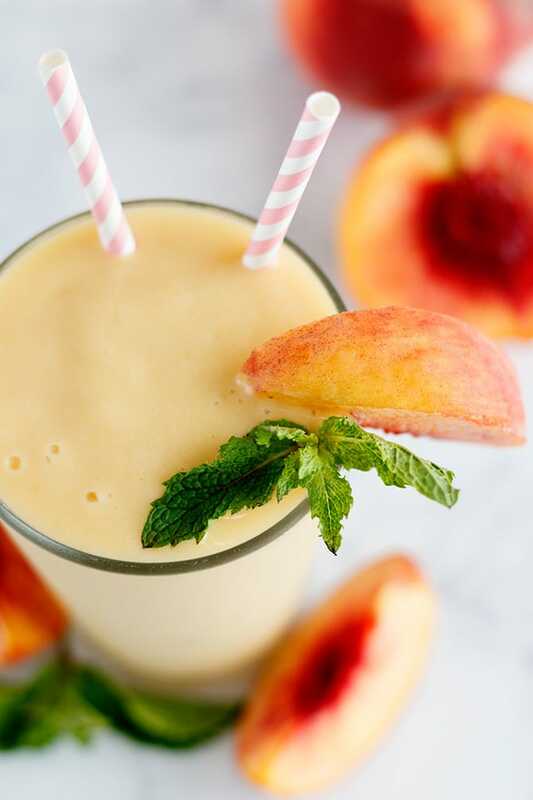 A perfect protein shake that can be made year round with frozen peaches and mangoes and brings the tropical flavors post workout. If you’ve been reading this blog for any amount of time, you know that I love my protein shakes. And if this is your first time… HI!! Protein shakes are my jam and I love trying new flavors and making so many different flavor combinations with them. Especially here in the winter time – which I ‘m not a huge fan of. Being a native Floridian, I’ve been spoiled with fresh fruit year round and so when it is winter, with snow on the ground here, I still get my cravings for tropical fruit that I cannot find in grocery stores. Lame. So I improvise with frozen fruit and it brings all the feels for my post workout treat. Yeah, I say treat because my protein shakes are really like a treat for me. I know that some people hate them and avoid them like the plague (hi that was me about 5 years ago) but you really can learn to love them… I mean, if that’s your thing. Like it is mine. 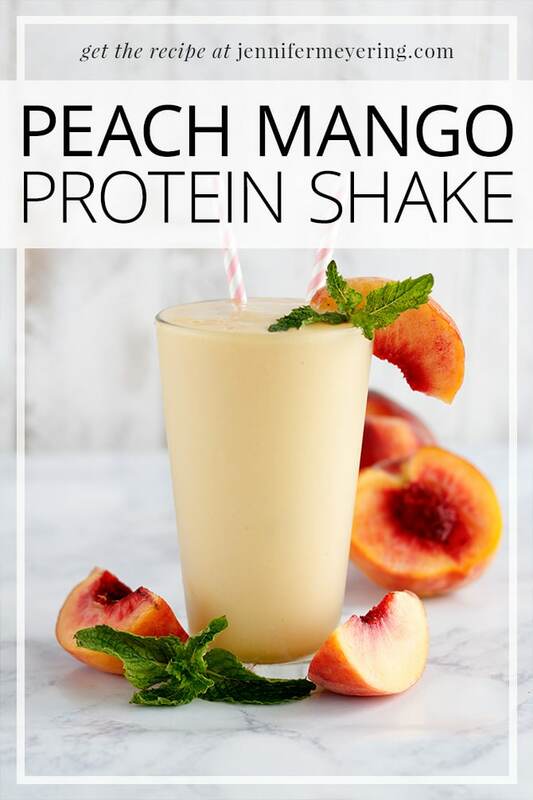 So this tropical inspired protein shake combines two of my favorite flavors… peach and mango. How can you get any better than that? 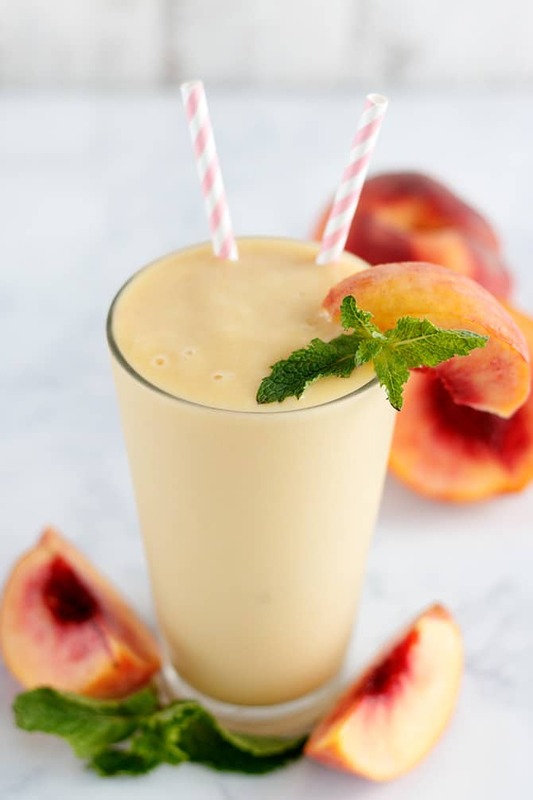 A perfect tropical protein shake that can be made year round with frozen peaches and mangoes and brings the tropical flavors post workout. Add all ingredients to blender and blend on high until desired consistency is reached. 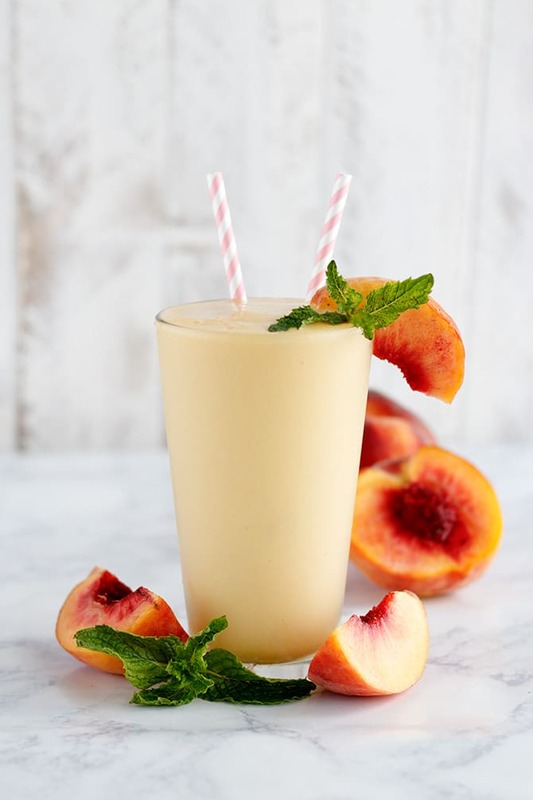 If shake is too thick, add more almond milk and blend again. If shake is too thin, add more frozen fruit or ice and blend again.